What are some of the breakfast phases you went through? What breakfast are you loving right now? « . erin condren life planner review . Breakfast has always been my main motivation to get out of bed. I love breakfast! I go through phases as well. I’ve been in an oatmeal phase for almost a year… I don’t see it ending anytime soon. Mine lasted for about 4 years! I have most of these ingredients on hand already so I will be making them this weekend! They look and sound delicious! I’m guessing people who don’t like breakfast also are not morning people! My husband is not really a breakfast lover but winds up snacking a lot later on if he skimps on it. Of course I’m a breakfast lover 🙂 These muffins look so delicious, as usual! Seriously, cold pizza for breakfast is THE.BEST.EVER. That’s actually cold pizza for me in general, I love it more than fresh out of the oven. I think. Breakfast is my favorite meal! These options looks great – the oats and apple speak to me. 🙂 Have a great Wednesday! What a delicious-looking recipe!! 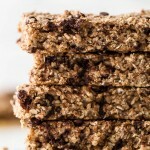 I went through several breakfast phases: the cereal mess, the green smoothie, the overnight oats… But for the past year or so I have been loving oatmeal. It’ so versatile and comforting. I can’t get enough! Especially with almond butter on top. Oatmeal is an amazing breakfast. My phase with it lasted for around 4 years! As usual we are the same in that it’s all sweet all the time for breakfast. Except I never got into the smoothie thing. I did drink Carnation instant breakfast as kid sometimes though! Yikes. I’m so with you about breakfast phases- when I like something, I tend to eat/drink it for days! Like you, lately that phase has been based around smoothies- I can’t get enough! Aside from smoothies, I’ve gone through phases of waffles, oatmeal, overnight oats, yogurt messes & eggs with toast. 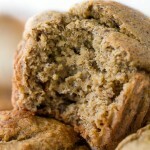 I’m a huge fan of apple-flavored baked goods so I am loving this muffin variation…love the idea of snacking on them! Okay this breakfast sounds weird but I’ve been eating sweet potatoes with greek yogurt, nut butter and a little granola or nuts for crunch. 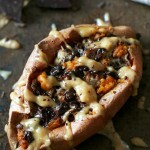 I also love sweet potatoes with goat cheese and eggs. I’ve done the oatmeal phase, overnight oats phase, smoothie phase, greek yogurt and fruit phase… I’ve been switching it up more than normal lately which is weird for me! I can’t remember the last time I skipped breakfast, it’s been that long. It’s definitely my favorite meal of the day! I usually go for the savory breakfasts- eggs, potatoes, toast. I love it all! I love how perfect those baked goods look. I would never be able to get the oats to form perfectly on top like that. Breakfast is by far my favorite meal of the day. Pinning! And hopefully eating as soon as I restock my kitchen with apples! I totally went through a phase where Pop Tarts were daily noms (hehe!) when I was watching Gilmore Girls, as they always ate Pop Tarts and because I didn’t grow up with anything fun, I decided that as an adult, I would eat whateverthehellIwanted. Fruit Loops were an option, but they hurt the roof of my mouth. Fruit Loops were crazy bad for that! Those and Captain Crunch 😯 And I actually used to eat cold Poptarts for a snack on a pretty regular basis. S’mores were always my favourite. Yummy! Just pinned :). You always have the best muffin recipes. For breakfast, I’m sticking with the usually. Either oats, sprouted toast with PB/banana, or a green smoothie. THese sound and look so good!!! I really want to make these with my boyfriend on weekend! Breakfast is my absolute favorite too. I can’t even begin to relate with people who don’t like it. I am definitely an egg person when it comes to breakfast but I always have it with an egg. Lovely recipe as usual my dear! For more, breakfast is all about the nana ice cream (just a hint addicted). If I don’t have time for that, my go-to is a big bowl of chocolate oatmeal (cause, hey, who can turn down chocolate?) I just whipped up some killer vanilla chia seed pudding for this morning, though, so I may have some competition…. YES. Agreed, 100%. Breakfast is THE BEST. Lately, I’ve been craving PB & banana toast. I love how simple yet delicious the combo is. I’ve also been eating yogurt bowls. I go through phases where I eat yogurt bowls ALL THE TIME then won’t touch ’em for weeks or months. I’m happy to be back on the bandwagon. I’m with you! Breakfast is the most important meal of the day. Honestly I hate being rushed and not enjoying my breakfast in the morning. I’ve been really into hard bolied eggs, Greek yogurt and blueberries but yesterday I made some muffins that are a quick easy breakfast meal. I tried soooo many different times to eat breakfast in the morning, but my stomach cannot handle anything before I workout. I just burp it up the entire time – uncomfortable. This is where protein powder as a “creamer” becomes useful in my life. ANYWAYZZZZ, I just told my mom yesterday I could live off of breakfast foods when we left the diner. Oatmeal, pancakes, and waffles… I’m sold. It’s like a warm hug. Yuuum, I love a health-ified muffin 🙂 I’ll have to try these.. maybe add some grated carrot as well. Hope youre having a great week! These muffins look gorgeous! I actually made something similar recently using spelt flour and the texture was perfect. I didn’t use greek yogurt though. 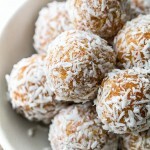 I may try making these with spelt flour and leaving out the sugar so my baby girl can have some too! Omg the breakfast phases. I’m definitely guilty of that. The most memorable would be the vanilla greek yogurt/granola/fruit breakfast that I had every single morning for over a year, (with a very specific brand of yogurt and granola,) and then the more recent eggs/chicken apple sausage that also lasted about a year. Now I’m doing different things with my diet so my breakfast is varied depending on the day, but it’s still pretty redundant. I tend to stay pretty happily in food ruts until all of a sudden I can’t stand it anymore. Any muffin that has apples in it has my name all over it! Can you please come ova and bake me a batch of these?! I have approximately a million apples sitting on the counter. They’re dying for an Amanda visit!! Those muffins look great! Would be perfect to take on-the-g0! Love all your posts but am really missing your WIAWs. All the same girl you rock! And love how you figure out what you want to eat–is it peanut free? does it taste good? This is from a previous post but it made me stop and think about what I ate before I ate it. Aww that’s really great to hear, Heather 😀 And I might still do the occasional WIAW every now and then — I’ve just been too busy to fit them in! I am on a Kale Skoop Smoothie tear these days…I find myself eating/drinking one almost 4-5 times a week…HAHA! They’re so good and what’s more important is that they make me feel good. what about a sweet and savory challenge?!! I bet she can! Right Amanda? What if I was the one cooking those meals because savory breakfast are my jam! Potatoes would be involved. I’ll even let you eat them cold. For you… I’d make an exception. These look delicious! And perfect for me because I’ve been wanting to do some baking but I swear 3/4 of my pinned recipes call for ripe bananas, which I never seem to have on hand because I eat them too quickly lol. I haven’t tried it, but quick oats have a tendency to make baked goods drier than whole oats, so you might just have to add an extra spoonful of yogurt to balance it out. Ohhh these look Seriously good!! I’ve been on a baking kick these past two weeks! I can’t get enough…maybe it’s because it’s so dull, dark, and cold out! Oh man, I’ve had so many Breakfast phases, right now I’m about the toast with almond butter and some fruit. Boring, but works! The fact that you quoted Limp Bizkit reminds me of why we’re friends. Current breakfast phase: cold oatmeal (for days when I eat breakfast in the car) or avocado and egg toast because duh. I cycle through smoothies, overnight oats and my current obsession, peanut butter, banana and jelly sandwiches. I usually favor smoothies in the summer and oats in the fall. These phases do not last long because I love peanut butter and jelly so much I can’t really resist this breakfast 🙂 The muffins look great! Have you ever considered a vegan yogurt? Love it! 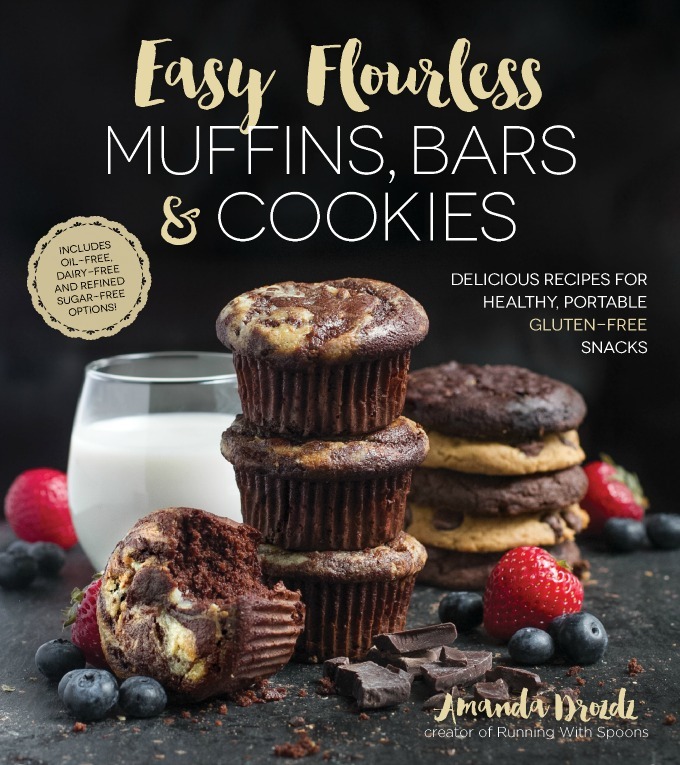 Muffins are one of my favorite grab and go breakfasts (mostly because I’m a little too fond of my snooze button) and these sound like a delicious addition to my usual rotation. I made your Banana Oat Greek Yoghurt muffins about a week ago and my three year old ate four of them (they were mini ones!) and announced, “these are delicious, mum!”. This from the child who usually turns his nose up at my healthy muffin creations. Personally, I did find them a little bit dense so I am really looking forward to trying these apple ones with the flour. Hopefully, it passes the Little Person Test! I love finding random music lyrics in posts; they make me happy. I didn’t hate finding these muffins either. 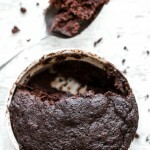 They sound incredible and I just so happen to be a fan of using AP flour in recipes so they are right up my proverbial alley. I tried to add in the little music notes too, but apparently I’m not cool enough for it to work. Le boo. I’m not a breakfast person, mostly because I don’t have time to eat during the morning. I wake at 4:30 and I’m at work working by 5:30. So I’ve been looking for quick, eat on the run, breakfasts. 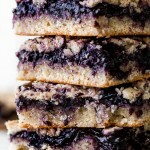 These look delicious and I’ve pinned them to make later this weekend. I made these muffins today and I didn’t see your comment about not using quick oats and I did use them. But the muffins turned out light and moist and not dry at all! And really really yummy I must add! What are your thoughts on adding some veggies into this (thinking picky toddler eater over here!)? Like spinach or carrots? Any suggestions? Thanks! The muffins weren’t sweet enough for my taste, but I made them again with half a cup of sugar instead and white whole wheat flour and though they were great. Thanks! Great recipe! 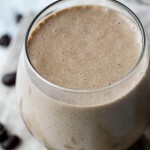 Simple to make and even hubby approved! Thank you! Hi! Sounds great. I don’t have any applesauce on hand, however. Any suggested substitutions? Thanks! Since apples vary so much in size, adding the weight might help. Just a thought! They’re in the oven right now!! Looking and smelling good!! 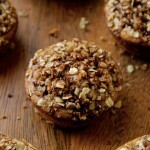 I’m sure you have made these many times so what kind of apple do you think tastes the best in these muffins? Thanks! Hi Erica! Personally I really love using either gala or ambrosia apples — both are super sweet and soft. For something a little more tart, I’m a huge fan of Pink Ladies as well. I unfortunately found these to be very bland. Also, the “Rate this Recipe” widget below doesn’t seem to work. It stays on 5 stars. These look yummy. 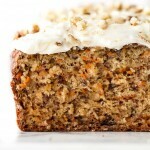 Could you substitute coconut flour or buckwheat flour instead? I don’t think coconut flour would work since it tends to absorb more liquid than other flours, but buckwheat might. The taste and texture might be a little bit different though. Hi there, I made these last week for friends and they all LOVED them. I made enough to last the weekend for us all to munch on and still had extra. I was curious how you store these so they stay fresh for a few days. Any suggestions? Hi Katie! I’m so glad you and your friends loved them! Thanks for letting me know 🙂 I always store my muffins in an airtight container for the first 4 or 5 days, and then I freeze them if I need them to keep for longer. Wonderful! Thanks so much, this is super helpful. Do you just microwave them to eat them if they’ve been in the freezer? Any idea how many calories these are??? They are so good! I was searching for an apple muffin and came across these. I knew I had to make them. I am sharing the recipe on my blog with a couple of adaptions and credit to you. I know I will be back to make more of your wonderful recipes. P.S. – I hid one in the back of the refrigerator or else my family would eat them all! Haha! I used to do that as well! I’m so glad you liked them, Cynthia! Thanks for this recipe! Love the low sugar and less fat! Applesauce is not a pantry staple for me in Australia so I diced and lightly cooked 4 small apples with a little water, juice of one orange and added the cinnamon (freshly ground as I only had cinnamon sticks left) to the saucepan. Added this and skipped the fresh apple. For a twist I added a good handful of walnuts at the end! Delicious. My young adult sons have already demolished half the dozen! DELICIOUS!!! I made these muffins, and they were so moist and fulfilling! I detest baking that you know is healthy and isn’t worth it to eat. But these muffins didn’t cheat me!.I made some changes…I used 2 eggs instead of 1, added 1/4 c coconut oil, oodles of cinnamon. I replaced half the sugar with stevia, then used the remaining half of the sugar to sprinkle on top of the muffins with cinnamon (added a nice layer to the top). I also threw in a bowl of leftover sliced strawberries that I had to use up, which ended up pairing well with the apple. Will keep this recipe in my list of favourites! These smell Devine. As someone said before, I was on the lookout for an apple baking recipe and found yours. I used half a cup of plain flour and half a cup of buckwheat. Can’t wait to try them tomorrow! Excited to make these! We have tons of apples right now I need to use. DO you think these would freeze okay to keep for kids breakfast? Anyone freeze them? I freeze all my muffins without any problems, Devon! Should be fine. 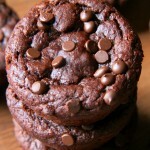 Wondering about subbing the raisins for chocolate chips… Would you suggest any changes to the cook time / recipe if I do? Thanks! You could sub them out super easily, Lucy! Just use the same amount, and no other changes are needed. As every other recipe I’ve tried from you, this was perfect! I diced my apples because I was too lazy to get out the grater, used whole wheat flour & subbed bananas for apple sauce as I didn’t have any on hand I also added 1/2 C white choc chips. My kids LOVE them, as do I. Thank you! I’m trying to give 5 stars but I can only click up to 4! 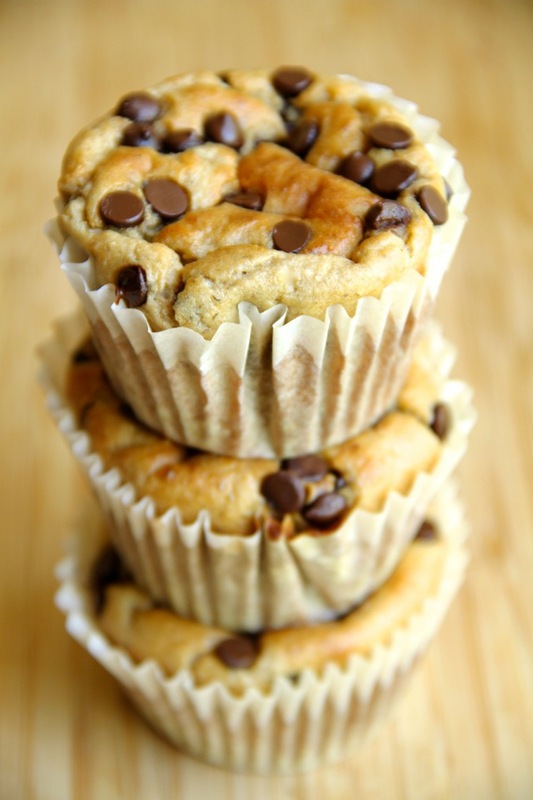 White chocolate chips and bananas sound like perfect additions! I’m so glad you and your family like them, Farah! Love that these are made without butter or oil! Thanks for sharing! Just made a triple batch of these for the freezer. I’m 38 weeks pregnant and these will be perfect for late night nursing sessions! (And my other kids will steal them….hence the triple batch 😂). My house smells so good right now! I discovered these and LOVE them! THANK YOU!!! I have intestinal issues and try to avoid wheat, so I subbed the flour with 3/4 oat flour and 1/4 rice flour. I also add 1 tablespoon of oat bran to up the fibre level. I have added dates instead of raisins sometimes with great results and I have even added some coconut. These are my go-to breakfast! this is amazing!!! Well done dear!!! 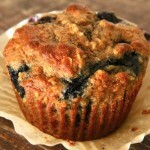 here is the nutritional info: Per muffin. calories 110, fat 1g, protein 4g, carbs 23g. Thanks for figuring out the nutritional info! 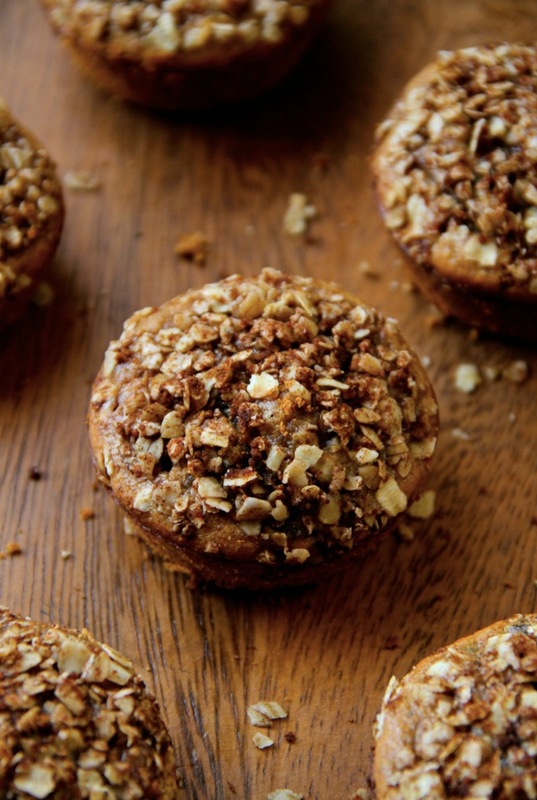 how many calories do these muffins have? Here is the thing when I wake up my tummy is unstable. Even as a kid if my mother fed me breakfast… to be polite I will just say I couldn’t keep it down every.day.no.matter.what. You get the point. As a teen I got so I could manage a bit of non-breakfast food (ie pizza). As an adult I just need to drink coffee till noonish and then I brunch. Always on savory foods, never sweet. This is my body and how it reacts to food and always has. However now I have these two short people that call me mom and unlike me they feel the need to eat in the morning. 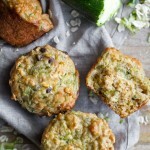 I was looking for some healthy breakfast foods that will pass their strict regulations and found these muffins. I can’t wait to try them! This looks like an awesome recipe. Thanks. These look really good. And without too much sugar too. I don’t eat dairy and am wondering if a coconut yougurt could be subsitituted? These are yummy! I love that the sugar content is low but the flavor and texture are great! I left out the raisins but otherwise followed the recipe. 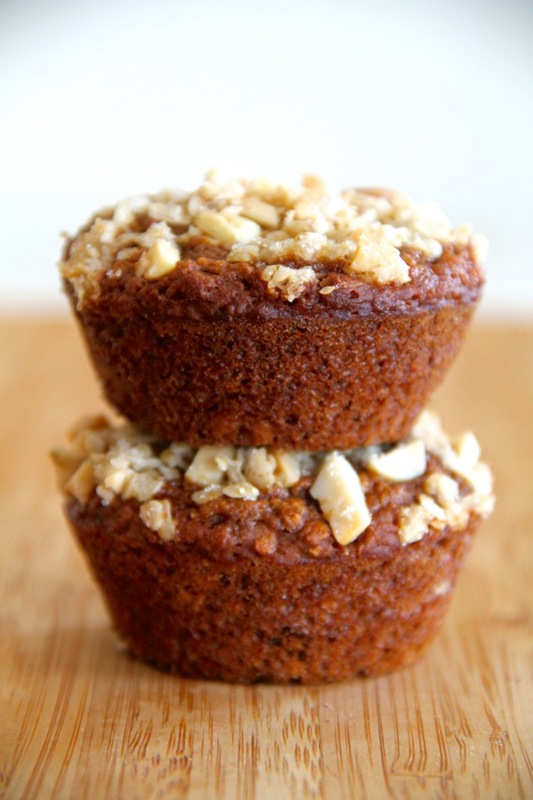 I made these as mini muffins to put in my kids lunches for school and they LOVE these! Thanks so much for the recipe!